With its beginning in Praça do Comércio, this team building activity in Lisbon goes though Pombaline downtown till the typical neighborhood - Alfama. 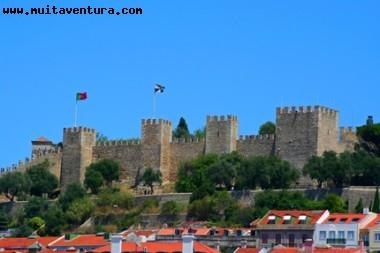 The wide streets were rebuilt by "Marquês de Pombal" after the 1755 earthquake contrasting with the typical narrow streets of the Alfama - with stairs and viewpoints. As support, teams have and Outdoor GPS or a map with a road book containing information about Lisbon. Then, they have to answer questions about Portuguese culture, local observation and do the team building games offered by Muitaventura monitors.